Our most famous highway, Route 66, is the perfect way to get your kicks, thrills, and a blast from the past. 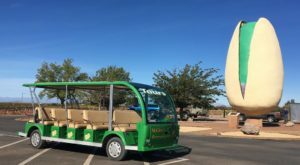 This unique RV park right off America’s highway is so much more than your average RV site. 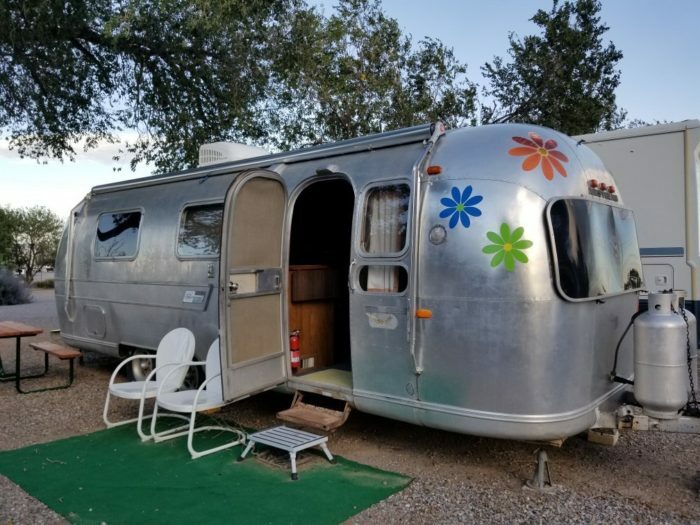 Not only can you bring your own wheels to one of the many pull-through areas, there is a whole collection of vintage trailers to rent out for an unforgettable stay. Step into the past at this historic site that’s keeping the past alive. 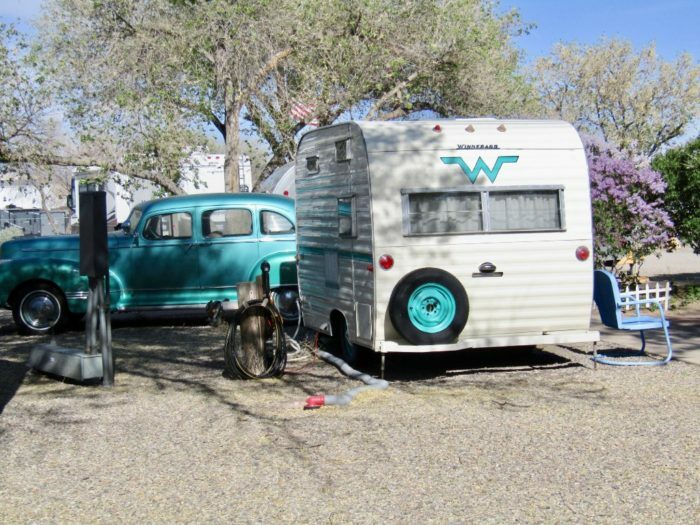 You’ll never forget a stay at this incredible vintage trailer park in Albuquerque. 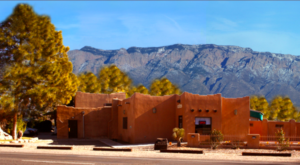 Welcome to Enchanted Trails RV Park & Trading Post off Route 66 in Albuquerque! 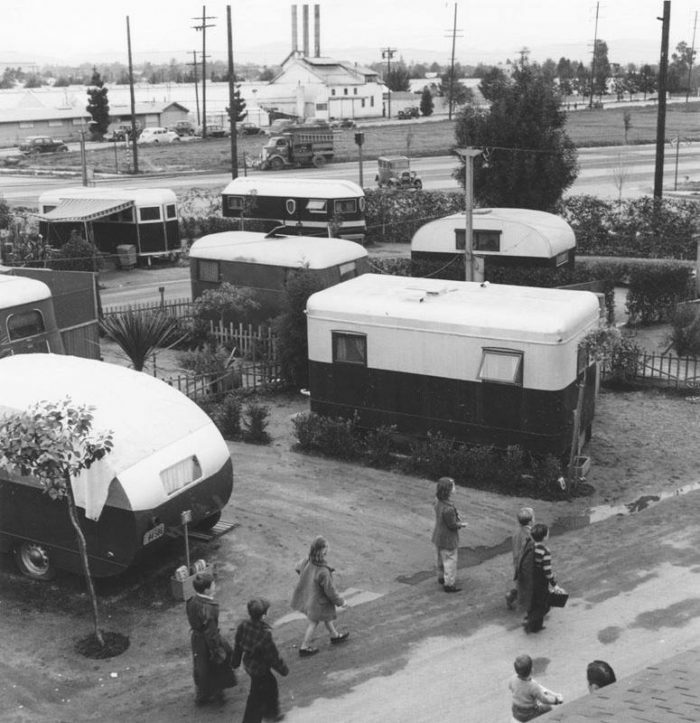 This unassuming RV park is packed with quite the history. This flat-roofed building was originally a trading post in the '40s, and has been the background for many major motion pictures. From Hill Top Trading Post to an amazing accommodation, you can feel the history stirring about. Although the original trading post is gone, Enchanted Trails still features its own trading post complete with Native American crafts, Southwest foods, and other quirky gifts that you won't find elsewhere. If you have an RV and you're looking for the perfect set up in Albuquerque, this is it. 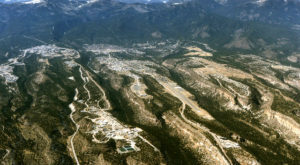 This park has 135 sites for RVs and can accommodate larger RVs in their spacious lot. WiFi, hook ups, and many other amenities are available. 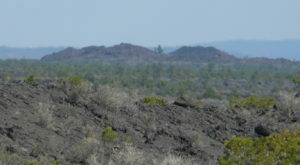 For those without an RV, fear not, you're in for an unforgettable experience at Enchanted Trails. 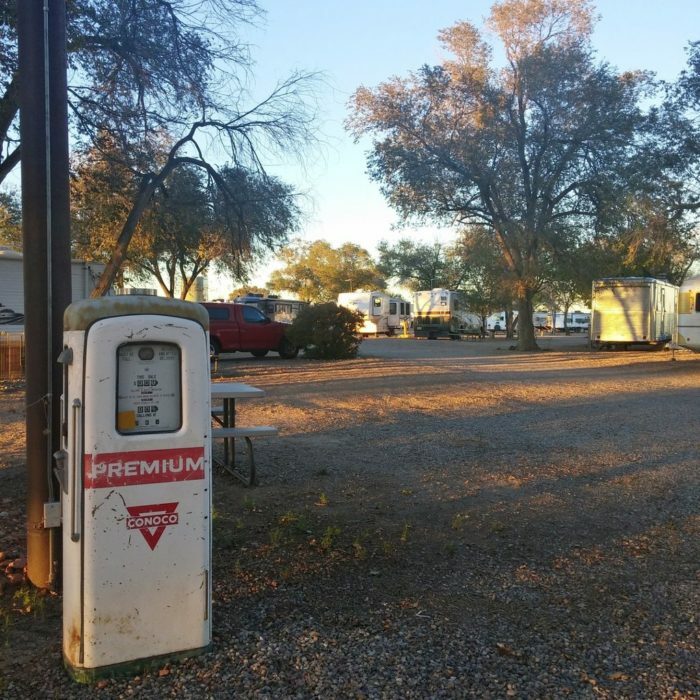 Besides RV sites, this RV park offers fully renovated trailers for an amazing stay. 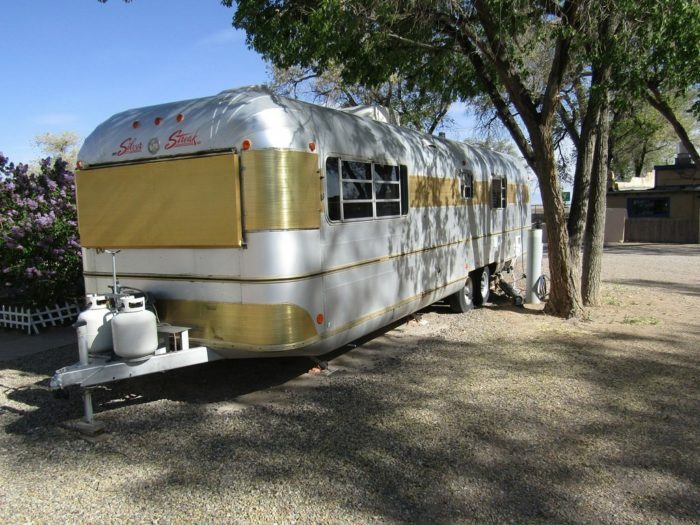 These vintage trailers are straight out of the '50s while keeping up with modern amenities. There are eight different trailers to choose from, but please be careful as the furnishings are all antiques. 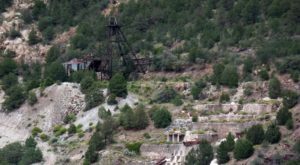 Enchanted Trails also offers a club house full of ancient memorabilia and extra amenities such as an iron, laundry facility, and a meeting room for gatherings. 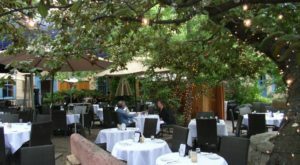 The park also features a beautiful patio that's perfect for larger get togethers. 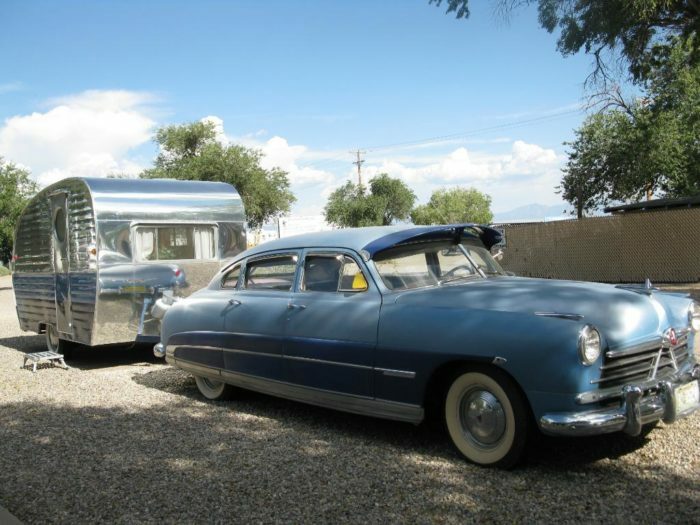 Whether you're looking for the perfect RV getaway, or an unforgettable vacation in vintage swag, this Route 66 RV park is jam-packed with history and wholesome service at an affordable price. 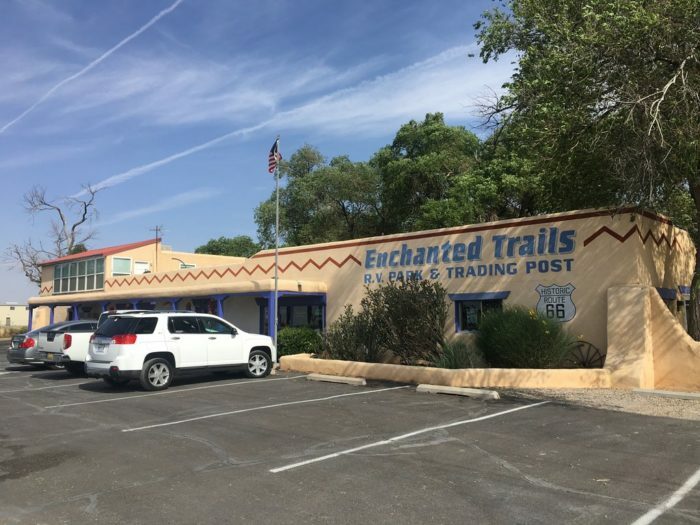 Enchanted Trails RV Park & Trading Post is located at 14305 Central Ave NW, Albuquerque, NM. For rates, reservations, and more information, you can visit their website right here. 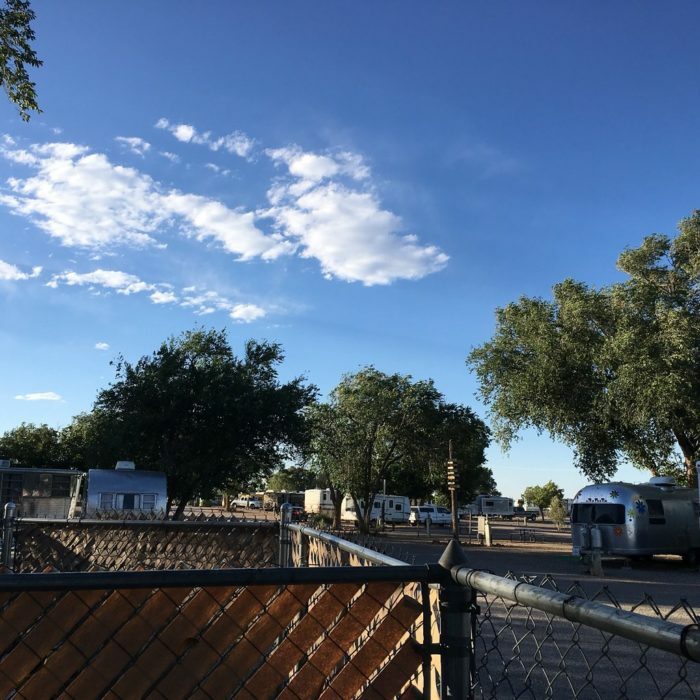 Have you ever stayed at Enchanted Trails RV Park & Trading Post? What did you think? 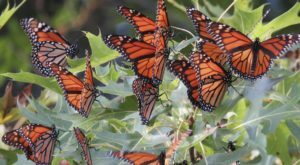 We’d love to hear about your experience in the comments, and don’t forget to share photos from your adventures with us in our New Mexico Nature Lovers Facebook group, or tag us on Instagram by tagging #onlyinnewmexico for a chance to be featured! 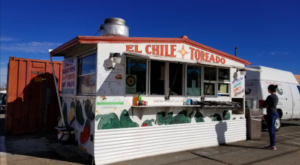 For a similar experience, check out this renovated trailer hotel right outside or Taos for a unique stay.